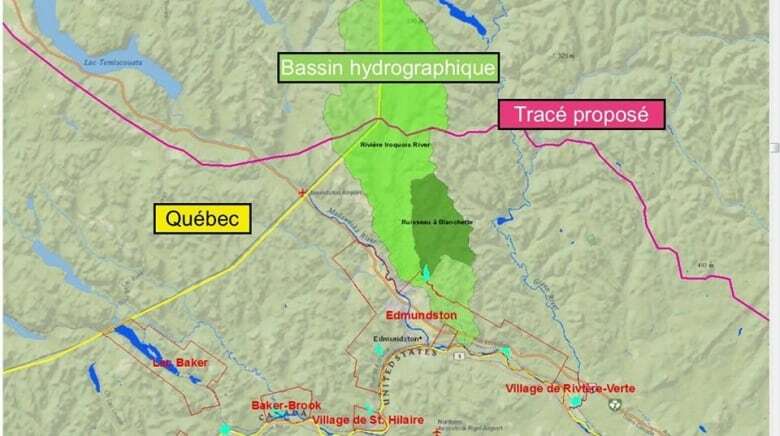 Edmundston council passed a formal resolution that strongly opposes any pipeline route that would cross the Iroquois watershed in northwestern New Brunswick. 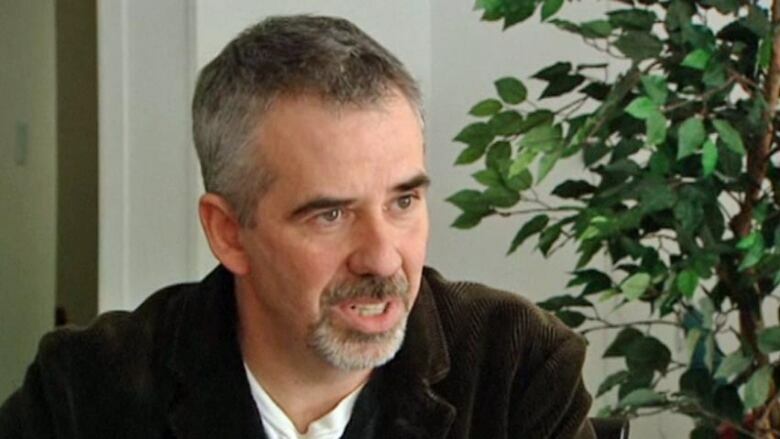 The city of Edmundston says it's against the proposed routing of the Energy East pipeline and will ask the National Energy Board to divert the project away from its municipal water source. City council has voted unanimously to adopt that position, even as questions persist about how changes to the NEB process will affect hearings on the pipeline. Mayor Cyrille Simard says the pipeline route passes through the watershed for the Iroquois River, which the city relies on for two thirds of its water supply. The city also uses that water to supply the Madawaska Maliseet First Nation within its municipal boundaries. "The risk is minimal, we know that. But the impact in the event of a spill is too important," Simard said. "Since we draw more or less two-thirds of the water that we use … from this river, it creates an impact that is unacceptable." The Iroquois winds its way north of the city into forest along the Quebec-New Brunswick border. Sections of the watershed are protected by provincial legislation. Simard said he hopes the board will order TransCanada to route the pipeline around the watershed, which he estimates would mean an extra 60 kilometres of pipeline. A map released by Edmundston showing the proposed Energy East pipeline route and the water basin that it draws its city water from. "From Edmundston's standpoint, it's probably the only way where you could not create a risk of an impact," he said. TransCanada spokesperson Tim Duboyce said the company "will continue to work with the city, and meet with officials on this and any other concerns that may be raised, as we have been doing." He pointed out TransCanada has already changed the route "significantly" once before to avoid coming close to Edmundston. The council vote will be the basis for Edmundston's submission to the National Energy Board, if its application to intervene in hearings is accepted. "This is in their power, to say `This project can go forward, but in this specific area you have to do that,'" said Simard. The NEB announced this week that it will hold its public hearings on the pipeline in communities along the proposed route from August to December of this year. The board says it will issue a recommendation to the federal cabinet, which has the final decision on the project, in March 2018. The Trudeau government announced earlier this year it will add three new temporary members of the NEB to the three existing members hearing the Energy East application. The three members already chosen to conduct the hearings were all appointed by the previous Conservative government of Stephen Harper. 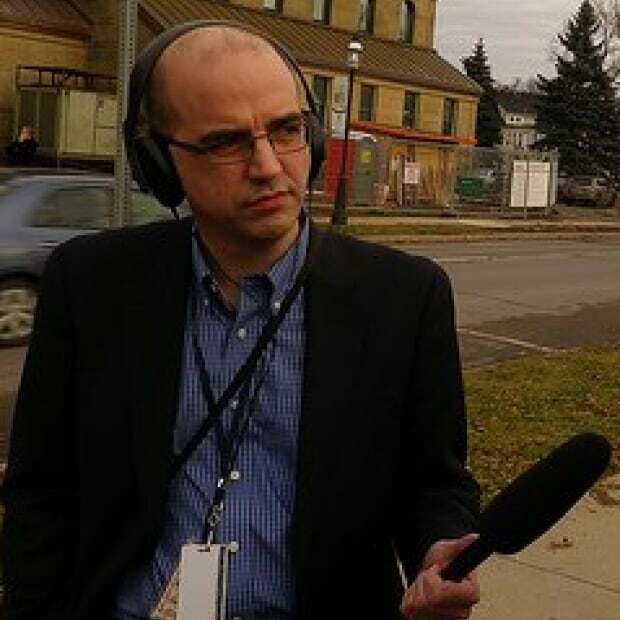 Last year, before he was elected prime minister, Justin Trudeau told CBC New Brunswick that the Conservatives had "torqued" the NEB process too far in favour of industry. Trudeau's government hasn't yet appointed its three new members and it's still not clear what exactly they will do when they are named. "We have not determined the details for a potential hearing so we can't comment on the role of the new temporary board members in relation to the existing panel of board members assigned to the Energy East project," NEB spokesperson Sarah Kiley said in a recent email. Simard said he hopes the process will be "fair and sound. … We hear a lot of complaints about that, but I can't say if the changes the feds announced will help in this way." Two of the Harper-appointed NEB members hearing the application, Jacques Gauthier and Lyne Mercier, were among 49 federal appointees who were given extensions in the dying months of the Conservative government. Gauthier was reappointed by an April 2015 cabinet order to a new term from December 2015 to December 2018. Mercier's renewal, approved by the Harper cabinet in June 2015, gave her a new seven-year term from December 2015 to December 2022. Energy minister Donald Arsenault has called for at least 1 of 3 new, temporary National Energy Board members to be from New Brunswick. (CBC)New Brunswick Energy Minister Donald Arseneault wouldn't comment on those extensions. 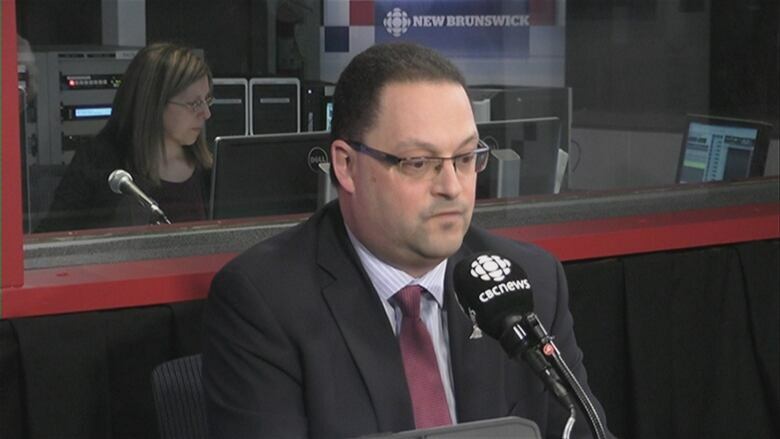 Arseneault has called for at least one of the new NEB members to be from New Brunswick, on the presumption an appointee from the province would support Energy East. "We all have the same objectives," he said. "We want to see it happen, but we want to see it happen in a very responsible way, mitigating as much as we can for the environment." The deadline for applications to intervene at the NEB hearings was last Wednesday, prompting a last-minute flurry of paperwork. Among those applying to intervene is Canaport LNG, which includes Irving Oil as one of its partners. Irving Oil is also a partner with TransCanada in a planned export terminal for the pipeline in Saint John. Canaport LNG says in its application it will be "directly affected" because the pipeline terminal will be close to its terminal and is "concerned" with "safety, security and contingency planning," including for accidents and spills.